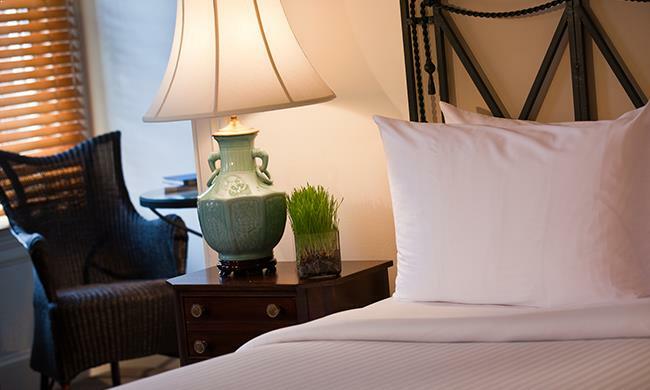 Hotel Lombardy invites you to experience the timeless elegance and historic charm of our Washington, DC hotel rooms and suites. 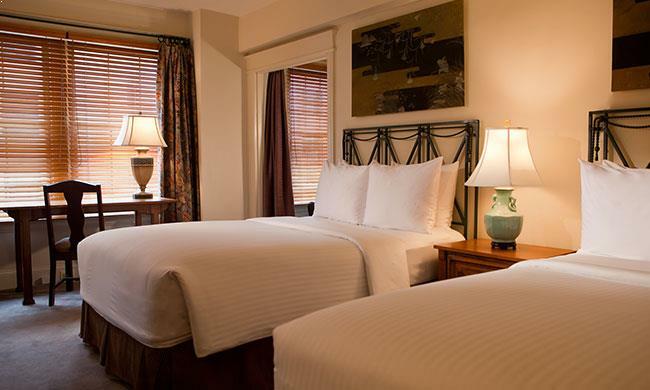 Richly furnished and adorned with imported German and Italian fabrics, oriental rugs, and original art, our downtown accommodations welcome with unique decorative touches like chrome and enamel bathrooms and hand-painted silks. Slip on your plush bathrobe, sink into Frette linens, and take in scenic views of James Monroe Park and Pennsylvania Avenue. Designed with a blend of classic charm and modern chic, our boutique style rooms and suites feature stainless steel wet bars, work desks, and complimentary Wi-Fi. Embrace the lavish style and warmth of these DC urban retreats. 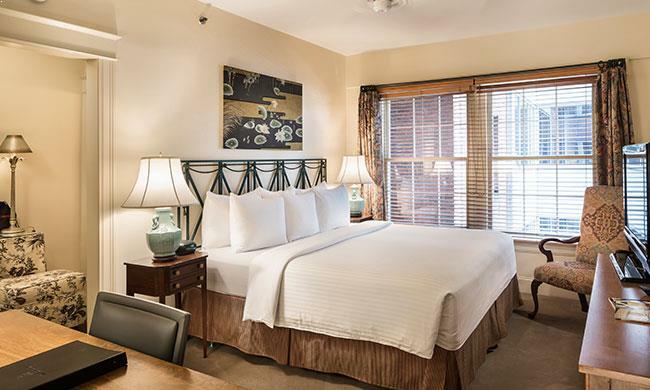 Relax with a king-sized Sealy Posturepedic mattress, luxurious Frette bedding, free Wi-Fi, HD television, mini bar, deluxe bathroom, and spacious work desk. 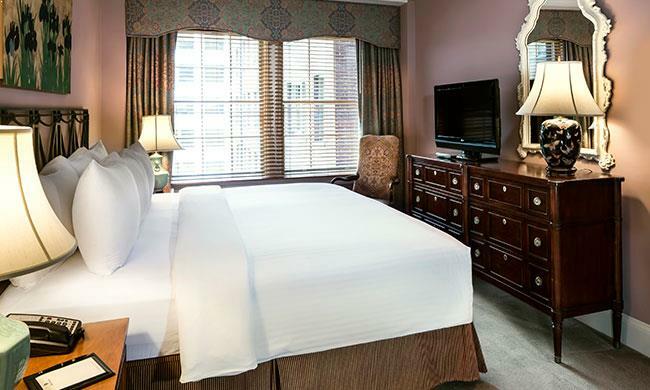 Unwind in the elegance of this room with a king-sized Sealy Posturepedic bed, exquisite Frette linens, free Wi-Fi, large desk, HD TV, plush bathrobes, and a mirrored closet. Get comfortable with two plush double beds, luxurious Frette linens, free Wi-Fi, a spacious work desk with multi-line phones and voicemail, HD TV, a mirrored closet, and cozy cafe seating. Stay productive and make yourself at home with a plush king bed, luxurious Frette linens, free Wi-Fi, spacious work desk, voicemail, HD TV, deluxe bath amenities, and Pennsylvania Avenue views. 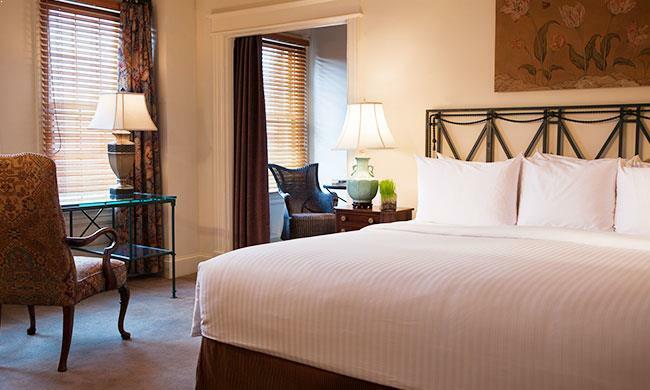 Our luxurious one-bedroom suites feature a king-sized Sealy Posturepedic bed, luxe Frette bedding, a separate living room with sofa bed, free Wi-Fi, HD TV, mini bar, deluxe bathroom, walk-in closet, and views of James Monroe Park.